is an exciting place to be!! From marching band to musicals, IMEA competition and concerts, something is always happening! Spectacular events include Octoberfest, Vespers, Showcase of Excellence, New Faces and much, much more. 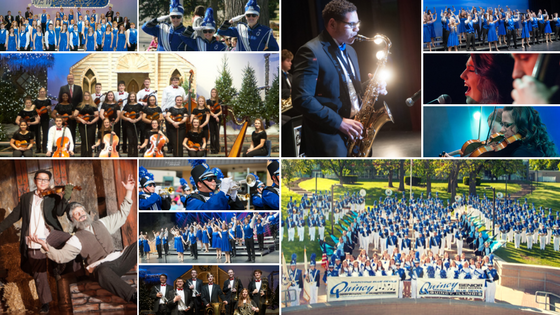 Be sure to follow the calendar on the website to be aware of all the exciting events at QHS!